Thanksgiving is a day of rejoicing and having fun with your loved ones. People gathered round a table enjoying a meal is the essence of this holiday. Traditionally, Thanksgiving was just about having a nice dinner with family members and friends. 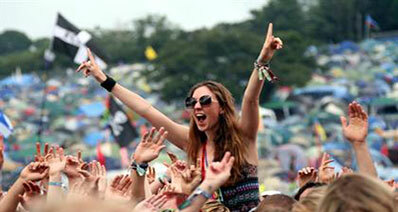 However, nowadays it is celebrated as a party and no party is complete without music. A Thanksgiving party ought to have some lively Thanksgiving music to entertain the guests. It is also important that this music has a thanksgiving theme to it. There is no dearth of music available for thanksgiving parties but the challenge is to choose the one that is right for your thanksgiving party. To make the task of choosing Thanksgiving music easier for you, here is a list of the top 20 popular Thanksgiving music for your Thanksgiving party. 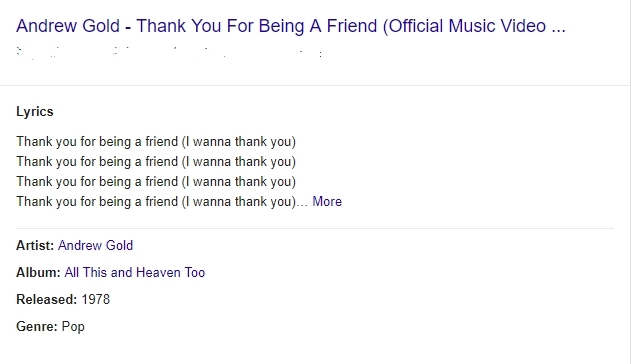 Thank You for Being a Friend written by Andrew Gold is a song that is perfect for thanksgiving. It is a melodious song that is all about giving thanks to a friend. The lyrics of the song are quite beautiful and Andrew Gold's voice makes it even more magical. Thank You is a beautiful song that is sung by Apani B. 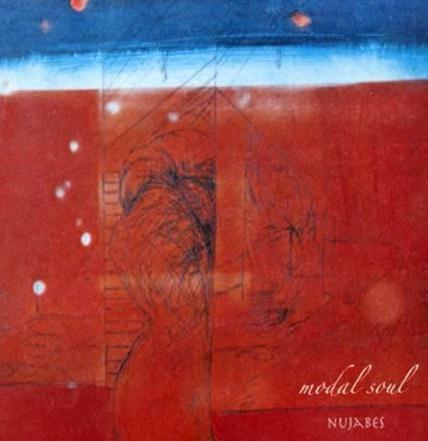 The music of the song is by Tokyo's hip-hop icon Nujabes from his record Modal Soul. This song is very groovy in nature in which the singer thanks the fans for showing love to her. 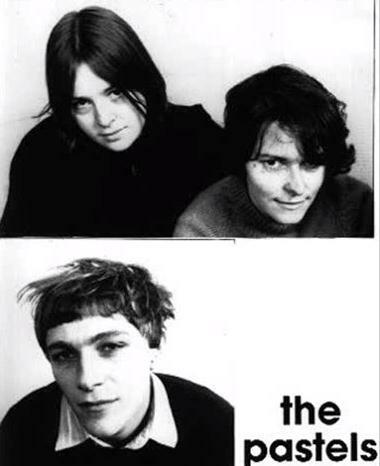 Thank You for Being You by the Pastels, the Glasgow new-wave rockers, is an excellent tune fit for any thanksgiving party. Although the song is about an adolescent love affair, it does celebrate the spirit of thanksgiving and will surely make your guests feel good. Thank U by Alanis Morissette is a beautiful track which can add a lot of soul to your thanksgiving party. This Grammy-nominated song by the Canadian pop-rocker is full of gratitude and conveys extreme vulnerability which makes it perfect song for a thanksgiving party. 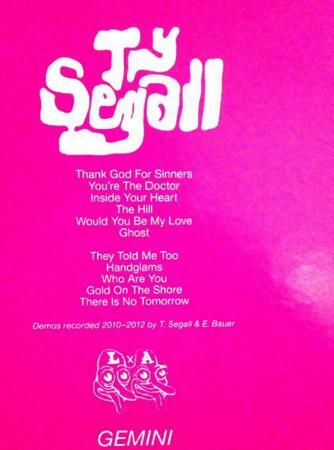 Thank God for Sinners written by Ty Segall, the king of contemporary garage rock is a nice addition to a thanksgiving party playlist. The song celebrates sin which might not be such a good thing on thanksgiving but its music sure is fuzzed-out and will be liked by your guests. 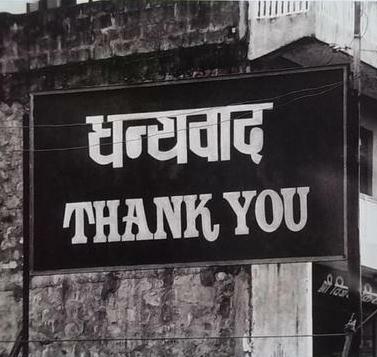 A Token of Gratitude is a song by Swedish band The Radio Dept. It is from their 2010 album "Clinging to a Scheme" which was declared the indie album of the year that year. It is a slow song with muffled guitar lines which is soothing and calming to the senses. Thank You by English songstress Dido is a pop track that can give a new dimension to your thanksgiving playlist. It is a beautiful song with a soulful tune that gives the message of thanks. Enjoy this song while having your thanksgiving dinner and get lost in Dido's sweet voice. Thank You for Sending Me an Angel by the NYC new-wave group, Talking Heads, is a good tune to listen to on thanksgiving. Give yourself some self-love this thanksgiving with this song which has a narcissistic edge to it in which the singer praises himself. Thank You is an upbeat track by Philly R&B quartet, Boyz II Men which can add a great of charm to your thanksgiving party. It is a nice song to hear to as you mingle with your family members and relatives that you haven't met in a while. Gratitude by the soul supergroup, Earth, Wind & Fire is an uplifting and foot-tapping number that is sure to turn your thanksgiving party into a dance celebration. So, get up and dance a little on this beautiful song, it will be good for you after all the turkey you have eaten. Give Thanks and Praises by Bob Marley is a mellow song which can help in diversifying the playlist for your thanksgiving party. It can put you and your guests in a relaxed mood and give you the chance to enjoy Bob's smooth voice. I Want to Thank You written by Otis Redding, a soul legend is an excellent track that is perfect for thanksgiving parties. Play this song for its soulful music as well as its excellent lyrics which are going to provide a nice background for the chatter going on at the thanksgiving feast. I Thank You is a song by R&B outfit Sam & Dave is another song that can add a bit of flavor to your thanksgiving party. This track is a good one to play at thanksgiving dinners as it has a nice tune to it and even nicer lyrics. Jay Z's "And the Winner Is" is a good song too. It might be an unusual song for thanksgiving but it does celebrate the spirit of this holiday, which is to give thanks. This rap song can go a long way in to diversifying your thanksgiving playlist. Thank You by the California pop-punk champs, The Descendents is a very nice song which fits the thanksgiving theme perfectly. It gives thanks to a band and has a good tune which is going to make you tap your foot as you listen to it. Rollback the years and remember you childhood days with A Charlie Brown Thanksgiving by the Jazz musician Vince Guaraldi. It’s a beautiful tune that is going to make you nostalgic and all the kids at the table extremely happy. I Want to Thank You by Alicia Myers is another song that is on the lines of giving thanks and in doing so matches the theme of thanksgiving. This song has a nice beat to it and the lyrics are very potent too. Dear Mama is a rap song by hip-hop artist 2Pac which can bring some hip-hop flair into the music of your thanksgiving party. The best feature of this song is its lyrics which are going to make you appreciate it even more. Thank You (Falettinme Be Mice Elf Agin) is a great soulful song written by Sly and the Family Stone which can light up your thanksgiving party. It has a funky tune which makes it a really enjoyable song. Thank You Friends by Big Star is a beautiful song that embodies the thanksgiving spirit. The song thanks friends and is thus a great addition to your thanksgiving playlist. The music suggestions made above can really make your thanksgiving party a success. However, you would have to think of a way to download this music so that you can add it to your playlist for the party and play it whenever you want. There are a number of ways of downloading music but most of them are either quite complicated or require you to pay money. If you want to download your thanksgiving music for free then the iMusic is the best option available to you. 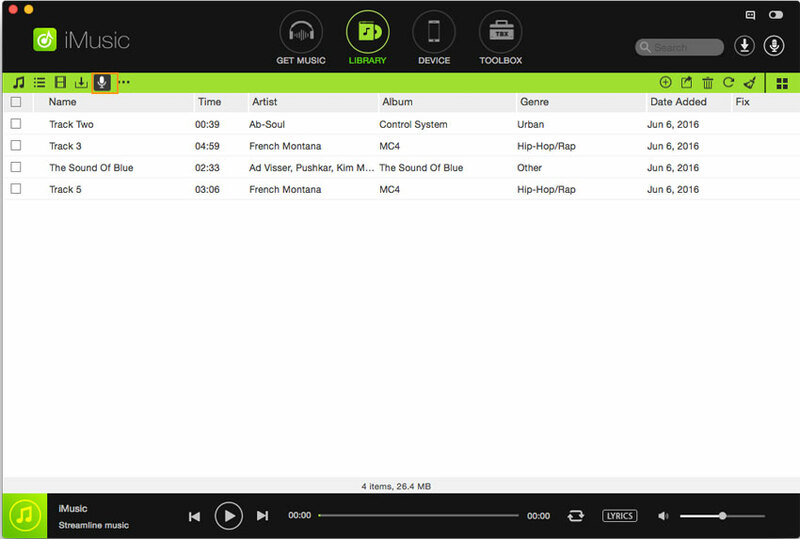 This program is available for download on both Windows and Mac and can help you in downloading all the music you want from the internet without having to pay a cent. The following are some of the features of iMusic that make it the best software for downloading thanksgiving music for free. 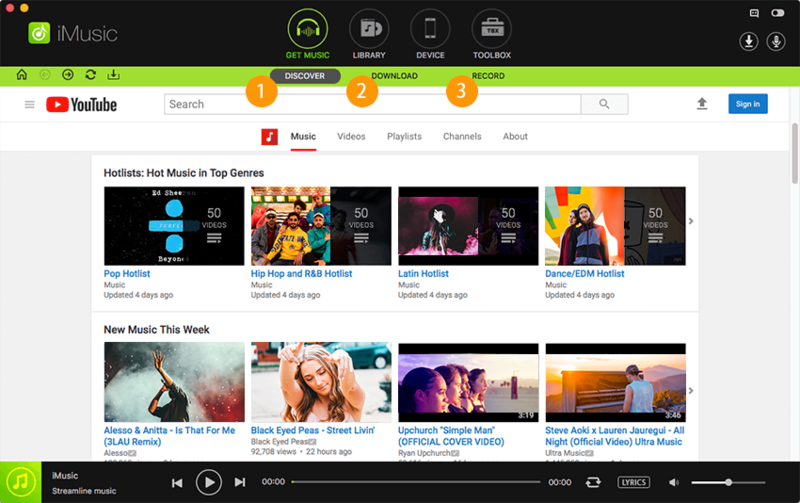 Ability to download and record music from over 3000 music streaming websites. Creation of audio files for each track and ability to split tracks automatically. Removal of ads that might come in between audio tracks. Ability to record audio tracks from videos shared on video sharing websites like Dailymotion, Vimeo, YouTube and many more. Presence of a virtual sound card that is capable of downloading audio files in M4A and MP3 formats while maintaining the original sound quality. 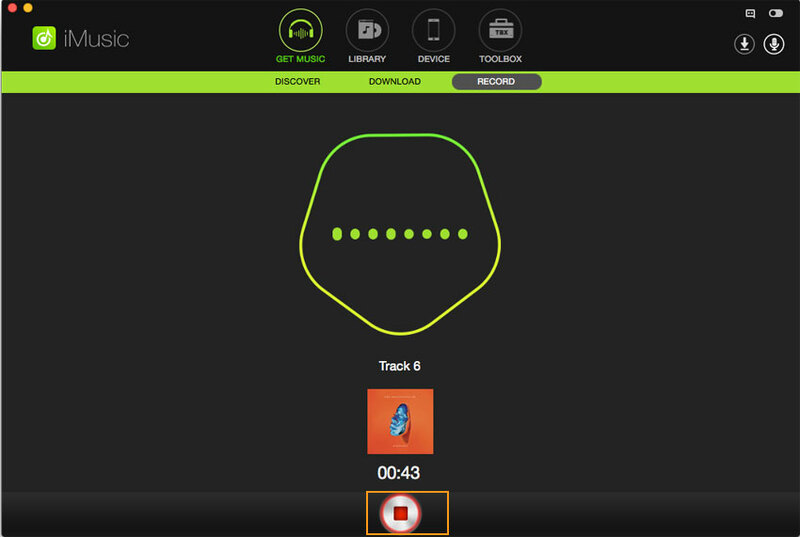 ID3 Tag Identification technology that helps in recognizing and tagging tracks with Artist, Title, Album, Genre and more. Ability to directly record music to iTunes. 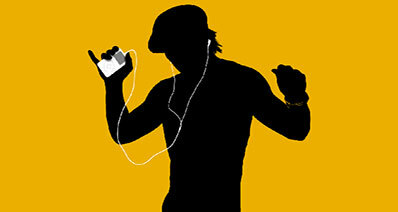 Play music instantly with the built-in music player. Downloading songs using iMusic isn't that difficult after you have downloaded the software on your PC or Mac. Follow these guidelines for downloading the thanksgiving music for you thanksgiving party. Step 1: Double click on the iMusic icon to run the program. And go to the main recording interface. And then hit the "Record" button to get ready to record Thanksgiving music. Step 2: Start playing audio from music sites. 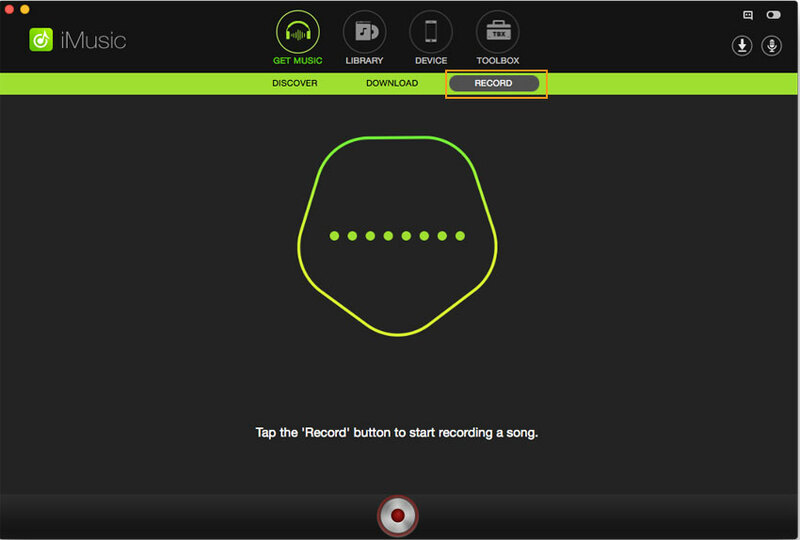 The software will start recording the song automatically. Feel free to surf the web while the recording is being done but make sure that the music does not stop playing. Step 3: When finish recording, you can go to LIBRARY tab to check the recorded music. You can also export them to your computer or iTunes Library to listen them anywhere anytime!